and is a landmark building that has been transformed over the years into a multi-use facility. Visitors can park in our 2 hour visitor parking, just left of the main parking lot entrance off of Broadway. Long Term visitors can park at the 169 Broadway parking lot. Upon undergoing significant renovations, Riverview Center is one of Albany’s premier mixed-use buildings. It stands today as a beautiful example of 1920’s art-deco commercial architecture. The building is constantly being improved and updated, while maintaining it’s historic charm. Pictured here is the original Montgomery Ward distribution center undergoing construction in 1929. Before the days of malls, big-box plazas, and a car in every garage, the building on Broadway sat in a prime location. Situated between Albany and Troy, the store and warehouse was on a railroad line and near the Port of Albany, easing the delivery and distribution of goods. Seen from Albany, the eight-story, white concrete building with a central tower rising over a rectangular base, is palatial. Up close, walking along Broadway, the exterior of the building is dominated by an Art Deco X design marking the ground floor. The Menands store/warehouse was one of nine similar Montgomery Ward buildings, including its Chicago headquarters. 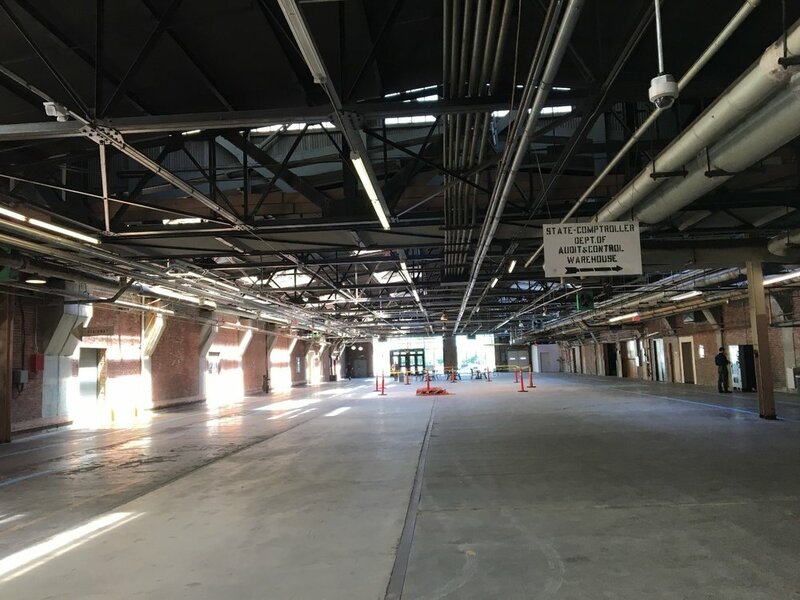 The train shed lobby adjacent to the parking lot is undergoing a highly anticipated transformation. 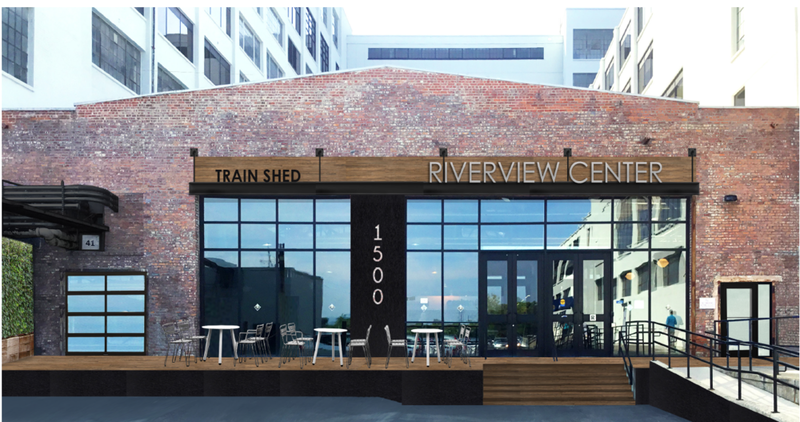 The renovation will brand the train shed a unique common area setting it apart from the more commercial feel of the building. The upgrade includes several seating areas, new flooring, updated walking track, brand new lighting throughout, and relaxing fountain to complete the design. The project is coming along and the interior upgrades are complete. The exterior will be completed in Spring 2019.